Ultramild Cleanser, Moisturizer, Night Cream, Serum, Tinted ZincO SPF 20. Great way to start with five core products! 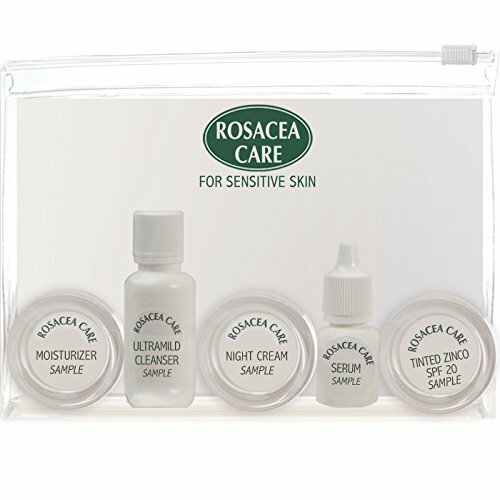 Rosacea Care is the most comprehensive skin care line in the world, which was developed specifically for rosacea condition. Due to the variety and the different characteristics of our products we recommend that you order one of our sample kits before ordering a full size product.